Alyce from At Home With Books features one of her favorite reads each Thursday and this week my pick is mostly an old memory. Since I can’t find the book on my shelf, I’m using the Amazon summary (Amazon.com): First published in 1958, a year after On the Road had put the Beat generation on the map, The Dharma Bums stands as one of Jack Kerouac’s most powerful, influential, and bestselling novels. The story focuses on two untrammeled young Americans—mountaineer, poet, and Zen Buddhist Japhy Ryder and Ray Smith, a zestful, innocent writer—whose quest for Truth leads them on a heroic odyssey, from marathon parties and poetry jam sessions in San Francisco’s Bohemia to solitude and mountain climbing in the High Sierras to Ray’s sixty-day vigil by himself atop Desolation Peak in Washington State. Primary to this evocative and soulful novel is an honest, exuberant search for an affirmative way of life in the midst of the atomic age. In many ways, The Dharma Bums also presaged the environmental, back-to-the-land, and American Buddhist movements of the 1960s and beyond. I’ve always found it interesting to read books like that years after they’ve affected you, to see if the feeling still holds true. For me it was The Unbearable Lightness of Being, which I will always adore. I’ve never read any of Kerouac’s books, I know that’s awful. I hope you find your copy soon! 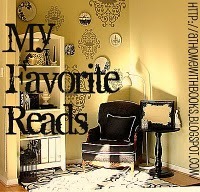 Oh, that happens to me, too…recalling books I read in high school or college and wondering if I would love them today. I hadn’t heard of this particular Kerouac book…I’m sure my oldest son has, though. He lives in Europe (an expatriate) and has dedicated his post-college years to the artistic lifestyle.